The best people, really the only people that can talk with authority about their community are those that live, learn and work in it. So, our role at the ADF is to be guided by communities and the existing evidence-base, before working with them to build their capacity to create positive change. A strong and healthy community partnership is one that is a collaborative body of individuals and organisations working together on an issue of importance to the local area. These partnerships often consist of mutually beneficial relationships in which all parties have shared responsibilities, equal voice and a common vision. Building strong and effective community partnerships is at the heart of the Local Drug Action Team (LDAT) program. Every community is different: with individual strengths, needs and nuances that are unique. Creating and sustaining a partnership in each setting requires patience, a shared goal and community and cultural sensitivity. And that is why they’re important! By building effective partnerships, communities can address the health and social needs of their area through the identification of a common problem and then the development of a comprehensive plan of action to address that problem. Forming partnerships doesn’t have to be an arduous task. Looking beyond your traditional partnerships and expanding into new sectors of the community may not at first seem like an obvious fit. But communities that work together are shown to be one of the most effective ways to prevent and reduce the harm caused by alcohol and other drugs, including ‘ice’. Through the LDAT program we’ve seen that partnerships can vary greatly from community to community, the key thing is that there should be a diverse range of partners. An example of a Local Drug Action Team with great representation across different sectors is the Rochester and Elmore District LDAT. The regional communities of Rochester and Elmore are approximately 170kms north of Melbourne. The greater community area spans Dja Dja Wurrung and Yorta Yorta country and is home to a diverse range of community members. Like many regional centres, the district has recognised an emerging need in their community to address alcohol and other drug related harms. Small communities like this one can feel the impact of these harms across the community, from the schools, to workplaces and within families. The local community responded by drawing on their strengths, forming a community partnership that harnesses the unique skills and resources from a range of individuals and organisations. The membership of the LDAT comprises the lead agency, the Rochester and Elmore District Health Service, together with the local Chamber of Commerce and Industry, the Lions Club of Rochester, the Elmore Primary Health Service, Rochester Community House, and La Trobe University, to name just half of the broad range of organisations involved. 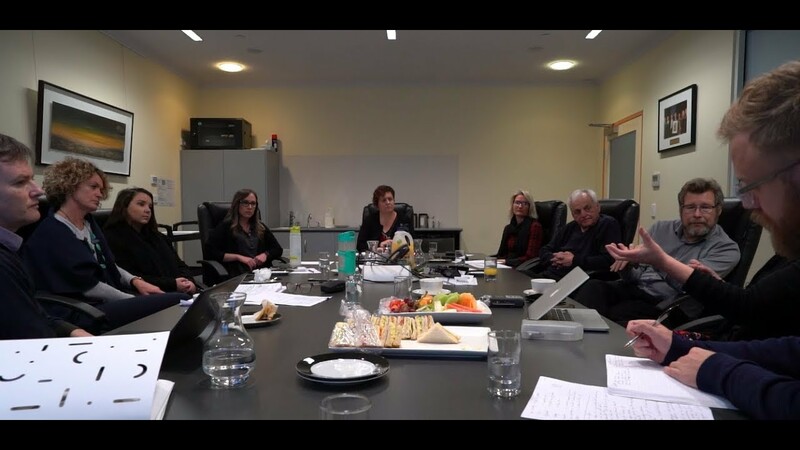 This locally-led team is working hard to empower their community to prevent AOD harms, supporting families and the greater community to be safe, healthy and happy. It’s a dynamic cross-community group that also actively engages young people to help design and deliver their project. Main picture (at top): With assistance from ADF staff, members of the Rochester and Elmore Local Drug Action Team complete an exercise to consider and prioritise their areas of work.